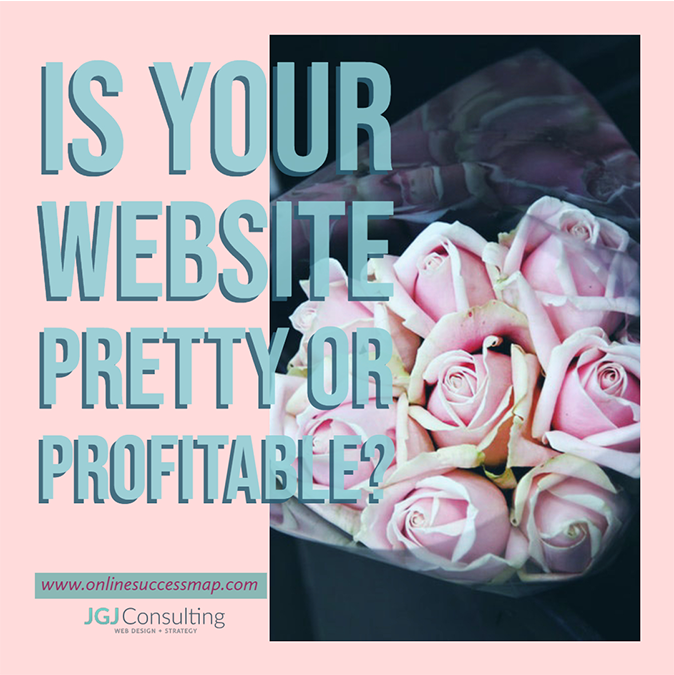 In continuing the topic of what to do once your website is live I want to throw this question out there question ‘Is your website pretty or profitable?’ Hey, I hope it’s both; but if it’s not then read the tips below and learn a few things you can do to have a profitable website. While looks are important generating leads or making sales is even more important for your business to succeed online. Remember your website is really a marketing tool and you’ll need to plan for its success. So how does this translate to profits? Well, first start by continually taking action and then test and track along the way. It’s time to move away from the stagnant, brochure website! You can do this; let me show you how! 1. Have a clear idea of what problems you solve Take the time to make a list of the problems you solve. Sit down with a paper and pen and write them down today. You need to be very clear about this. Once you have this it become very easy for you to write your website copy, articles and blog. It even helps the way you talk to prospects. Now go back and review your website and see if you’ve clearly identified the problem you solve. 2. Know what ‘they want’ You should know who wants your products and services. Notice I said ‘want’. A lot of times people don’t buy what they need but they often buy what they want. Check your content to be sure it’s focusing on the benefits of what you offer. Benefits address the ‘needs’ factor (which is still important) which in turn justifies the ‘wants’ factor. 3. Find your keyword niche You can drive a lot of traffic to your website from search engines if your site has targeted keywords on it. While there is an art to search engine optimization, you don’t have to be a SEO expert or techie to find keywords phrases that your target audience is searching for in the search engines and use those terms in your copy. 4. Create content that demonstrates your credibility Use your website to really show that you are an expert in what you do. Having a blog, writing articles, answering frequently asked questions, sending out educational newsletters can really help to build your credibility. Credibility goes a long way to building trust which eventually leads to a sale. 5. Provide an irresistible free offer Most people do not buy the first time they go to a website; you’ll need something to get them on your mailing list so you can stay in touch and continue to build credibility. The free offer can be an ebook, a frequently asked questions sheet, a statistical report, etc. It just needs to be something that is of further interest to the website visitor and starts the credibility building process. 6. Have a call to action on each page You have to tell people what to do once they’re on your website. You may think that they’ll just know to call you or fill out your form but they don’t always do that. First you need to know what you want them to do (call, fill out a form, etc) and then you need to make that clear throughout your website. Don’t make them think; make them do. Doing brings you closer to a sale. 7. Track and measure Don’t forget to track and measure your efforts. If I say it once, I’ll still say it again; get Google Analytics on your website. If you have Google Analytics review your reports weekly. Not reviewing your reports is like taking a preparing for a test, then taking a test but not checking to see if you’ve failed or passed. What’s the sense in that? But most importantly if you’re not making any sales you needs to see why.